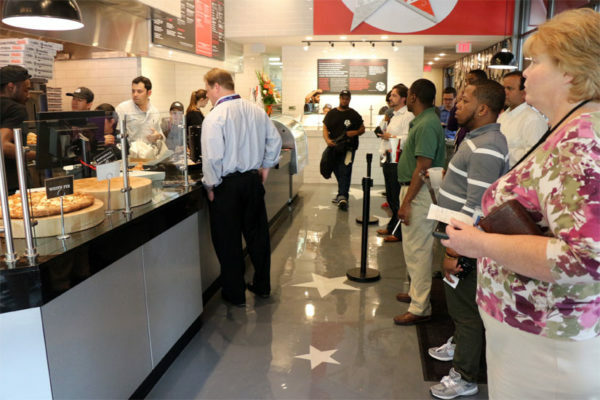 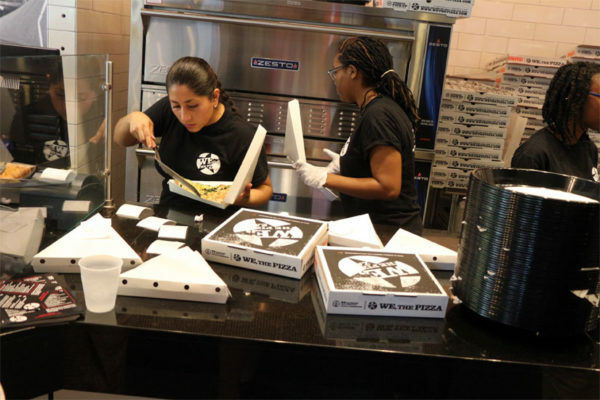 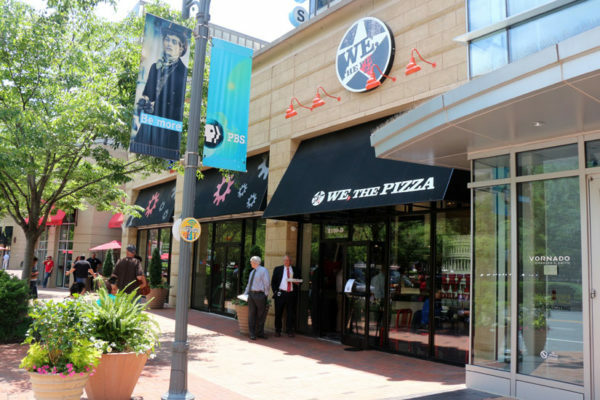 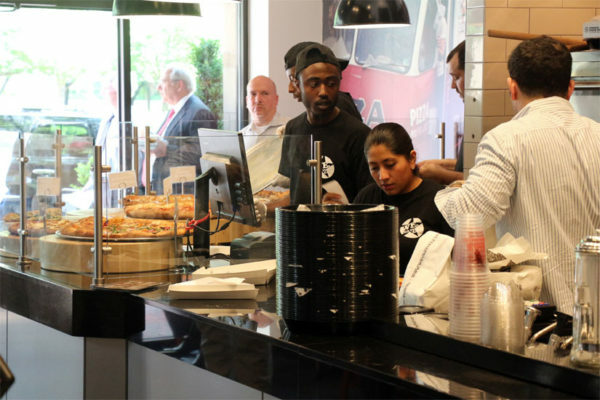 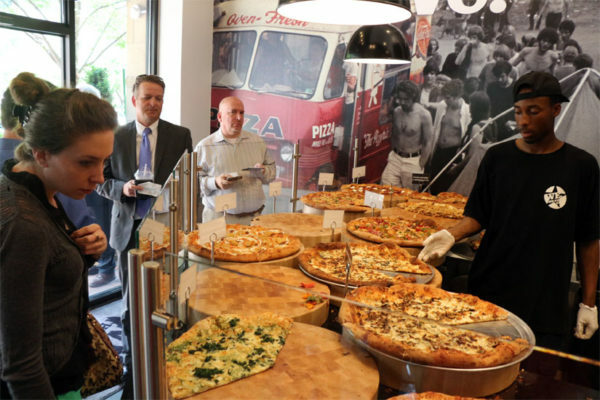 We, The Pizza, the pizza shop launched by former Top Chef contestant Spike Mendelsohn, is now open in Crystal City. 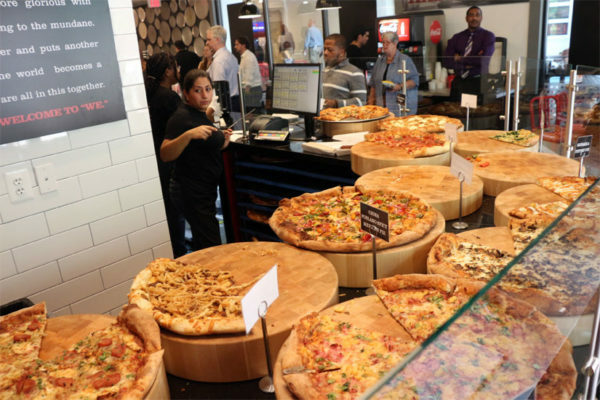 The shop is open from 11:00 a.m. to 11:00 p.m. daily and serves slices of 16 custom pizzas, including a chicken poblano spicy Mexican pie, a Mortadella pico de gallo pie and a Cajun chicken and andouille pie. 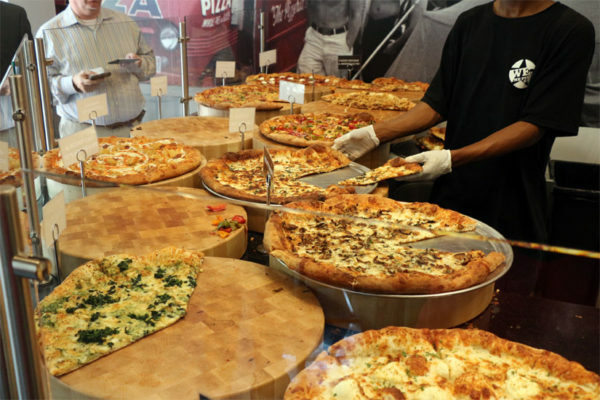 Slices of each pie cost $4 and a cheese slice costs $3. 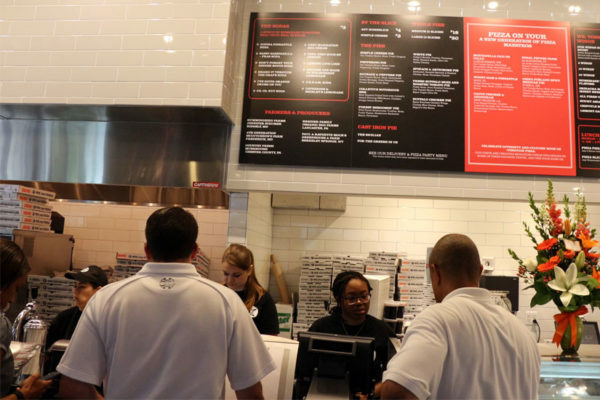 A medium full pizza of any style costs $18 and a large costs $20. 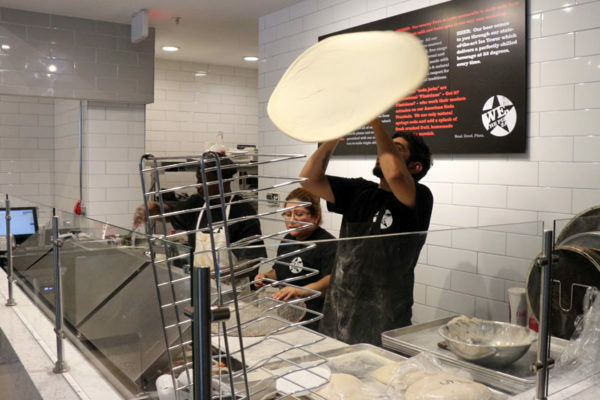 The restaurant also offers wings and salads, and boasts that many of its ingredients are sourced from local farms in Maryland, West Virginia and Pennsylvania. 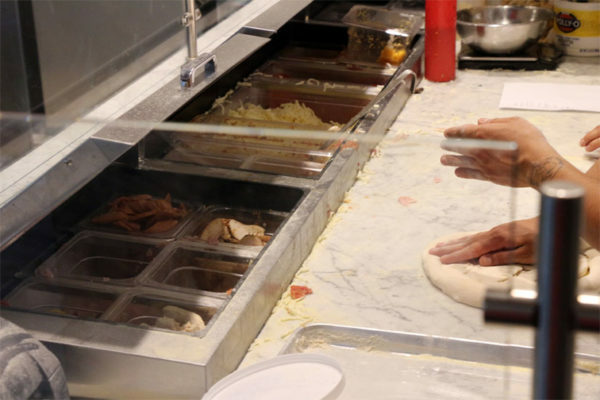 Mendelsohn also owns the Good Stuff Eatery burger shop two doors down from We, The Pizza.